After completing the annual Write 31 Days writing challenge, I asked participants what they learned about themselves as writers as a result of the month-long challenge. I loved Hulda Bennett’s response so much that I asked if she would be willing to share it as a blog post for all of us here. I hope you’re able to glean from the following lessons she learned and apply them yourself as you seek to develop stronger writing habits for a writing life that lasts. Do you ever find yourself in a season when, as much as you’d like to write and create new content, you simply don’t? For a period of about 15 months, I found myself in a such a time. It wasn’t that I didn’t think of writing nearly everyday — everything inside me wanted to write — but to do the actual writing, I simply did not. I had good reasons — a family crisis that left my heart wrecked, moving twice (both overseas), and time — there was just no time (or so I believed). Then back in September, I read Kate Motaung’s email about the Five Minute Friday 31-Day Writing Challenge to write for five minutes daily based on a word prompt. I thought, Surely even I could write for five minutes . . . and with that, I linked my dormant blog to the FMF challenge page. The end result for me was joyfully humbling. I wrote 27 posts and over 11,000 words. I’m so thankful for Kate for running the challenge. Had I not done the writing challenge, I might have written one post — or maybe nothing at all. 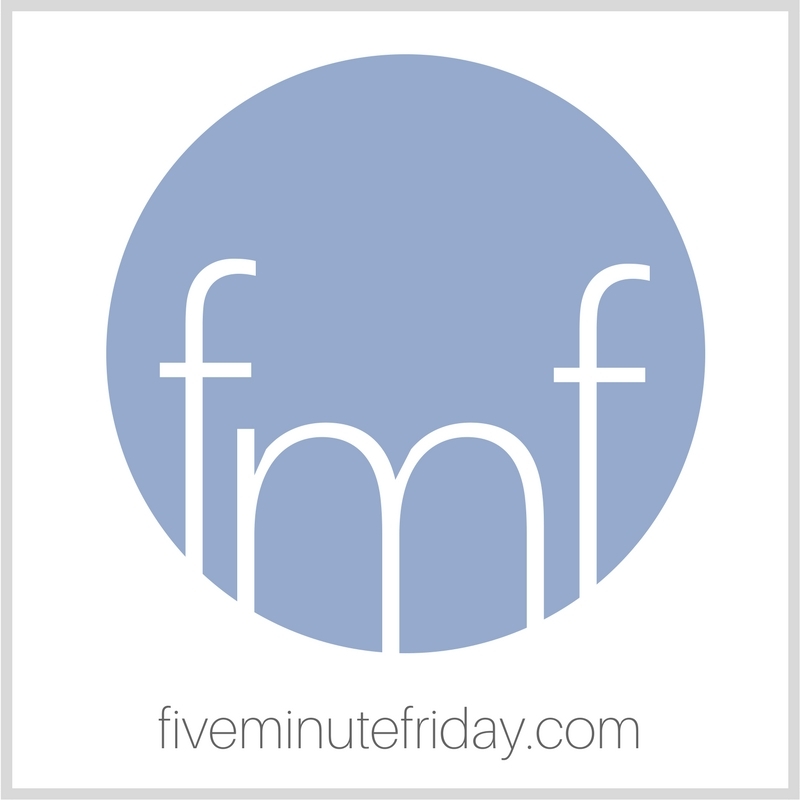 But being part of the Five Minute Friday community, even if it was only an online one, kept me at it. What are my takeaways from this experience? Here are seven lessons I learned that might prove useful to you if you decide to take up a writing challenge yourself. You can always get more done in community instead of doing it alone. Knowing that I had my blog linked up to the FMF challenge page got me started, and then having the option of sharing my work and also reading what others had written was motivating. Receiving encouraging comments from others in the community kept me going on the hard days. Some days, the only thing that got me started was telling myself that I only had to write for five minutes. That was easier to believe than to believe I could churn out an entire blog post. After the first week, I began to be hopeful that perhaps I could actually establish a writing habit. 3) Establish a set time. I found that the best time for me is to write first thing in the morning after the kids are off to school. On weekends it was after my quiet time and before the kids woke up. I also began to plan my writing time by having my word prompt saved on an empty page. Unlike before, I now have my writing time set on my calendar instead of randomly chasing a time and place. I’d actually write if my device was not connected to WiFi. On the days when I got online, I’d automatically start checking email or social media (for five minutes, of course), but I’d get derailed and often lose much needed time. It was harder to get started afterwards and focus on the writing. I got this idea from The Power of Habit by Charles Duhigg. In the past I’ve generally done my writing on my black laptop, which takes a few minutes to get going, and the habit I’ve established with this laptop for years is firing up my Web browser and checking e-mail. All the intentions of working first go out the window because I tell myself, “I’ll just take a quick glance at what’s come in.” So for this past month, I used my iPad with a portable keyboard. I loved that it was ready to go instantly. And since my iPad is still fairly new, my mind doesn’t automatically associate it with checking e-mail. Since I began in October, I’ve written on it almost daily. As soon as I’d hit start and the 25-minute count down began, I knew it was time to get down to business. If I remembered, I’d say a quick prayer — asking God to bless my words. On average it took me about 45 minutes to write a post. I know it was supposed to be five minutes, but I simply could not finish my thoughts in five minutes. Mentally it was easier to embrace the task to just write for 25 minutes … often when the timer went off, I’d dismiss it and keep going if the writing was flowing. I’ve found using small and meaningful guideposts helped me to stay on course. For the first week and a half, I was wearing a loom band bracelet my kids made for me. Wearing it and seeing it throughout the day was a reminder that I’m loved; that I can do the task at hand; that I’m a writer and fulfilling my God-given dreams. Recently, I created a screensaver that reminds me that God created me for this (you can get it for free here). Going forward I’m going to print out biblical truths and place them on my desk to help me fight the naysayers in my head. They haven’t gone away, but they are not as loud. I’m past the 21-day rule of establishing a new habit — now I’m aiming to carry this through 90 days. The latest research says it actually takes 90 days to establish the neuron pathways in our brain to make something a habit. Now that we are in November, I’ve joined another writing challenge with a small group of fellow writers. We’re writing alongside other writers worldwide doing the National Novel Writing Month challenge. Only one of us is going to do the actual novel writing. I plan to continue to post on my blog weekly as well as finish an ebook project I started a year ago. Lord willing, I should have a first draft manuscript done by the end of the month. If writing has been a life-long dream tucked away in your heart as it has been in mine, then maybe you could start today — maybe set the timer for 5 minutes and write based on this week’s word prompt at FMF. Hulda Bennett writes at Hearts Fully Alive about faith-filled encouragement to help you anchor your soul in the heart of the Father. A wife to her beloved and mama to three amazing kids, Hulda is a sojourner who was born in Peru, raised in the U.S. and currently resides in Czechia. She lives for quiet moments when she can hear God speaking to her heart with a cup of coffee in hand. Her day job includes being an educator, librarian and spiritual mentor (missionary for 15+ blessed years). Oh WOW! This touches my heart. Your tips make perfect sense. thank you so much for sharing from your heart and experience. Thank you, Jane. Blessings to you on your writing journey. Hulda, I’m so thrilled to read your words here on FMF!!! Your encouragement is gentle and practical and I found myself nodding throughout. So excited for you, and I can’t wait to see what you do next! Hugs! Thank you for your encouragement and for being the one who originally sent me to the FMF community. Beautifully written, Hulda. As is all your writing. It always resonates! So excited to read it here on FMF! Thank you for your kind words, Rebekah! Hulda, this is wonderful!! Yay God 🎉🎉 for leading you to this challenge which He knee you would do great things with! Good tips, I plan on implementing a few. So happy for you! Thanks, for sharing these tips, Hulda! I’m glad you found it such a helpful experience! Thanks Lesley! The experience was a game-changer for me. Oh! How encouraged I am by this post! Thank you! Thank you! Thank you! I am going to incorporate many of these tips immediately! You’ve reinforced ideas I’ve been mulling over, and helped me believe I might actually be able to write a few of the projects I’ve been merely thinking about for years!